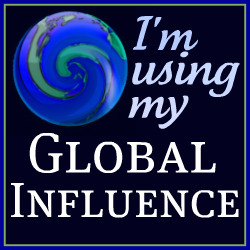 I have been going to Walt Disney World since the late 1970’s. I can remember before a lot of the resorts were built. On the flip-side, I can also recall the wonder of visiting many of them for the first time. 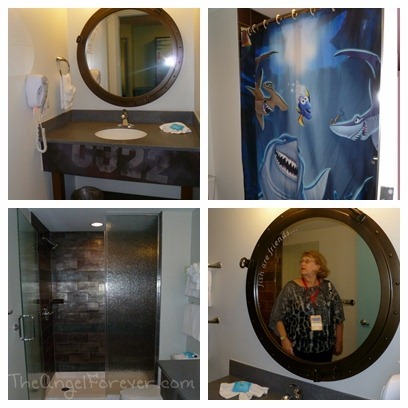 What I had never done before the 2012 Disney Social Media Moms Celebration was tour a resort before it opened. 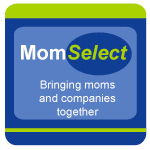 Yes, on the last evening of the Disney Social Media Moms Celebration, our families were whisked away by buses to an amazing new world. 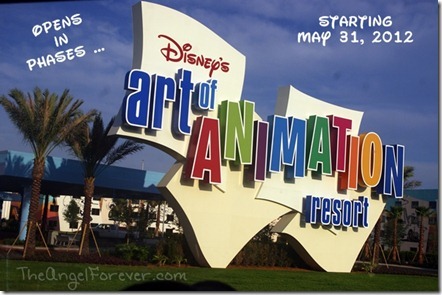 The Art of Animation Resort does not officially open until May 31. When you pull onto the grounds, it is hard not to feel the magic that you are about to live. No, it is well beyond an experience. 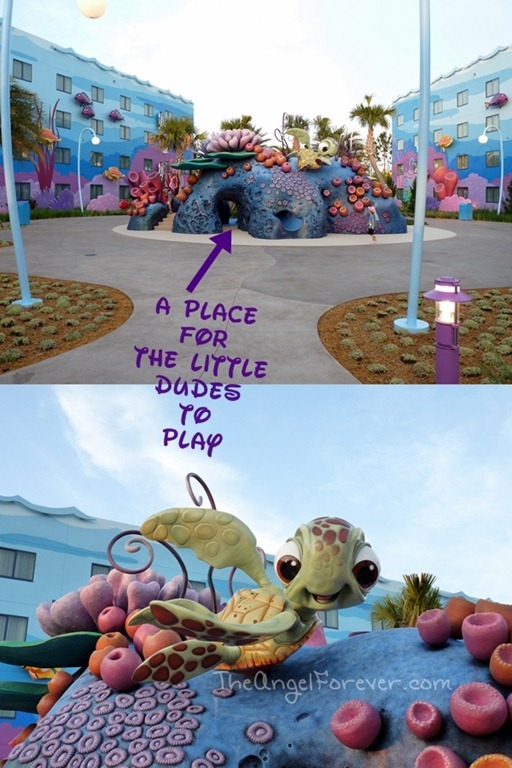 The minds behind Disney’s Art of Animation Resort truly have thought of everything. 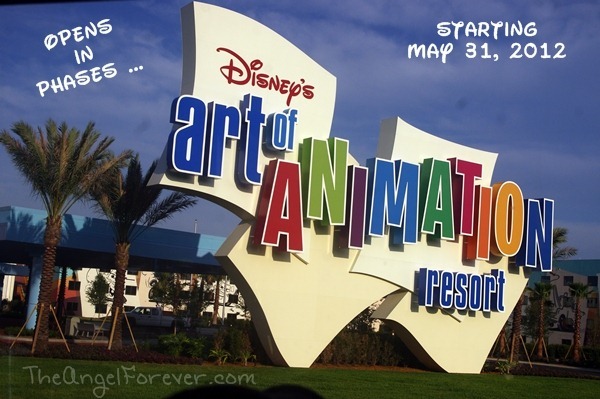 The resort brings you into the world of Disney Animation and will put you into four movie worlds. Yes, by the end of the year you will be able to spend time with these amazing Disney classics. 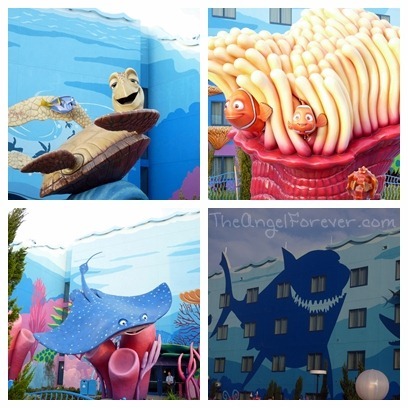 On May 31, Finding Nemo will officially open up to the public. Cars will open June 18, Lion King August 10, and The Little Mermaid wing will finalize the resort September 15. The Art of Animation Resort is a value property consisting of mostly family suites. The initial three phases will contain the suites. 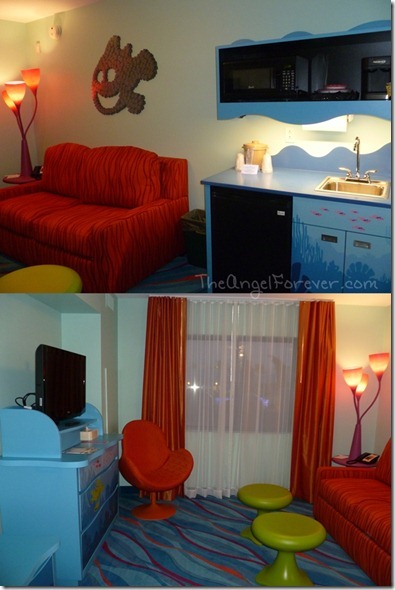 The Little Mermaid area will be themed, but with rooms like Pop Century which is adjacent to the new resort. Rates for the 1,120 family suites will begin at $248 per night. These rooms can sleep up to six and include two bathrooms, a kitchenette, and three sleeping areas. The 864 standard rooms will sleep up to four and will be as low as $95 a night. The story telling begins the moment you walk into the door of the lobby – Animation Hall. 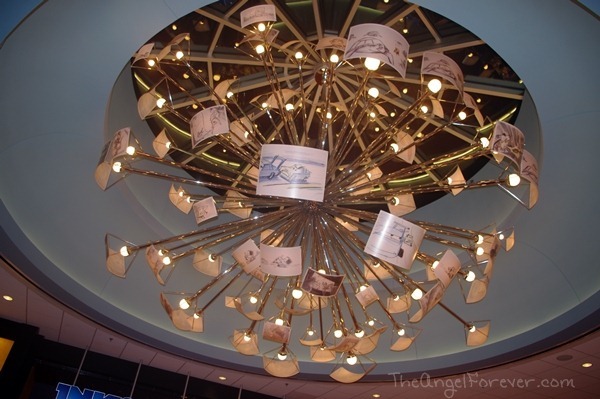 When you go in, be sure to look up at the amazing chandelier that is made up of animation storyboards. 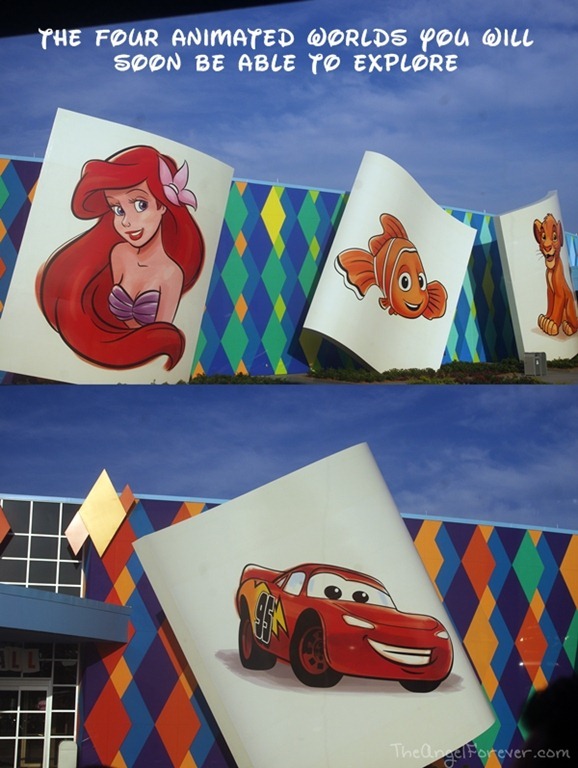 As you continue walking, you will see pencil sketches that begin telling stories of Nemo, Lightning McQueen, Simba, and Ariel. Their worlds come alive as the drawings are fine tuned and begin to have color added to them throughout the hall. Once it is time to check into the resort, you go to smaller individual greeting desks. Here cast members will assist you in making your magical vacation begin. After checking in, it is finally time to head out to find your room. When doing this, you will likely walk outside and get your initial view of the “Big Blue” pool area. Get ready to be wowed. Seeing it in photos is not going to be the same as watching the world of Finding Nemo appear before your eyes. This Nemo world includes the largest resort swimming pool in all of Walt Disney World. It measures 11,859 square feet. Just looking at the pool makes you want to “Keep on Swimming” like Dory would say. 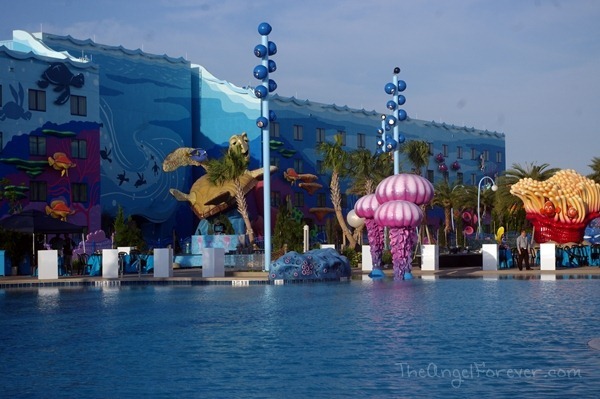 As you wander around the pool area, you will see colorful reefs, Nemo, Marlin, Mr. Ray, Crush, and other friends from under the sea. Of course, if you prefer a place for the kids to stay dry while running and playing, head over to Squirt. Yes, the little dude is watching over the Righteous Reef which is a children’s play area. 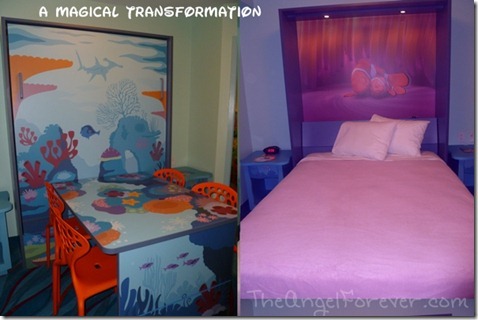 If you are staying in the Finding Nemo rooms, be sure to pay attention to the details along the route. Even the plants make it seem like you are swimming along with Nemo and friends. 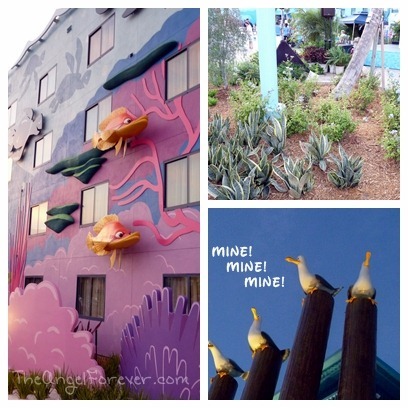 In addition to this, the side of the buildings have fish that are your friends, along with sharks, adding to the beautiful theming. Oh and don’t forget to look up as well. You may recognize some of MINE my friends there. 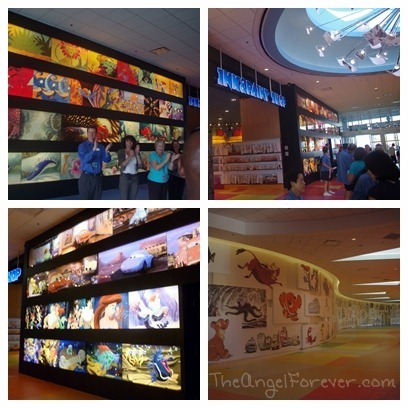 We were allowed to tour the Finding Nemo suites and it was beyond gorgeous inside the rooms. While I love the theming at each of the previous Disney resorts that I have stayed at, I do believe this may be my favorite. There is just something extra special about sleeping in a world from one of your favorite Disney films. When you walk into the room you will be greeted with a table and chairs. When ready for a nap or to sleep for the night, this area transforms into a double bed. 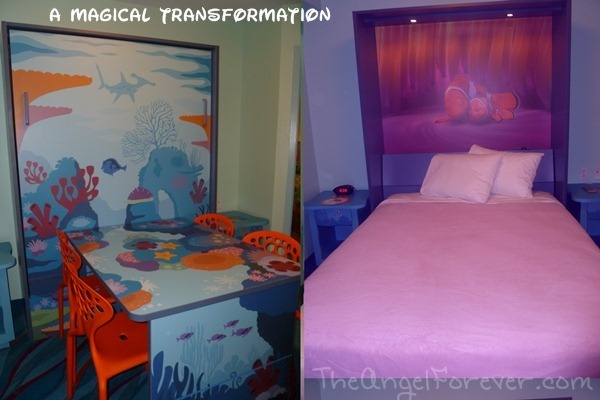 The murphy bed has a Nemo scene above it for sweet dreams. The rest of this room includes a kitchenette area, along with a couch that transforms into a sofa bed, and television. Note the fine details from the art on the wall, the coral lamps, and beyond. The two bathrooms are amazing and I would love either/both of them in my own home. Of course, even the mirror reminds you of some very important words from Finding Nemo. 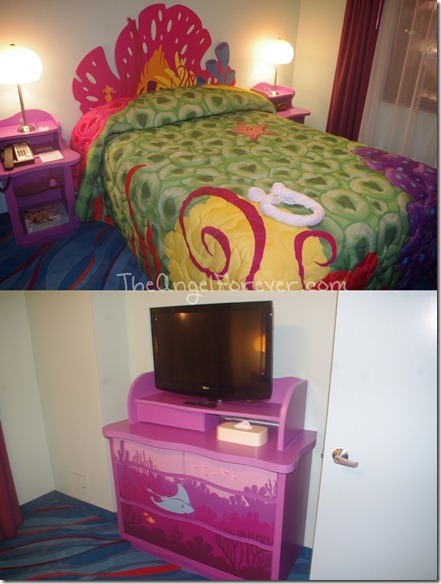 The separate bedroom area has a queen size bed, television, dresser, and full bathroom within the space. Once again, you will see that you are under the sea in every way possible. 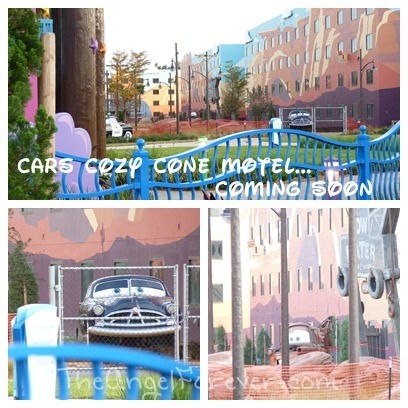 My father was actually able to snag some photos of the Cars area that will be opening in mid-June. The paved road in this area will lead you to the Cozy Cone Motel that will also have a Cozy Cone pool and cone-shaped cabanas. Just from these views of the resort, I can only imagine how stupendous (my son’s favorite word) the Lion King area will be with the elephant graveyard for kids to play and Ariel’s grotto with treasures from The Little Mermaids human world collection. My boys can not wait to stay in this resort. My little kiddo did not understand why we could not go back to Nemo Land after this night. Yes, he truly thought it was a destination in itself. 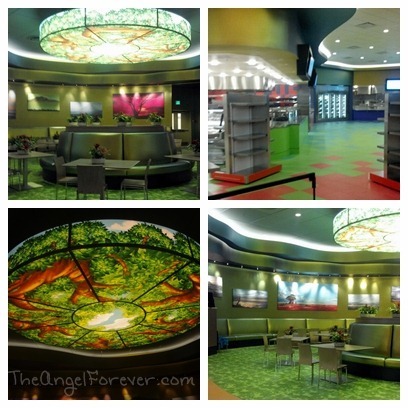 One other area that we saw a small sneak peek into was the food court area. This dining location is called The Landscape of Flavors and will feature items that include fresh smoothies, hand-scooped gelato, and Mongolian barbecue. Breakfast, lunch, and dinner will be served, along with snacks here, the poolside snack bar, and pizza delivery. 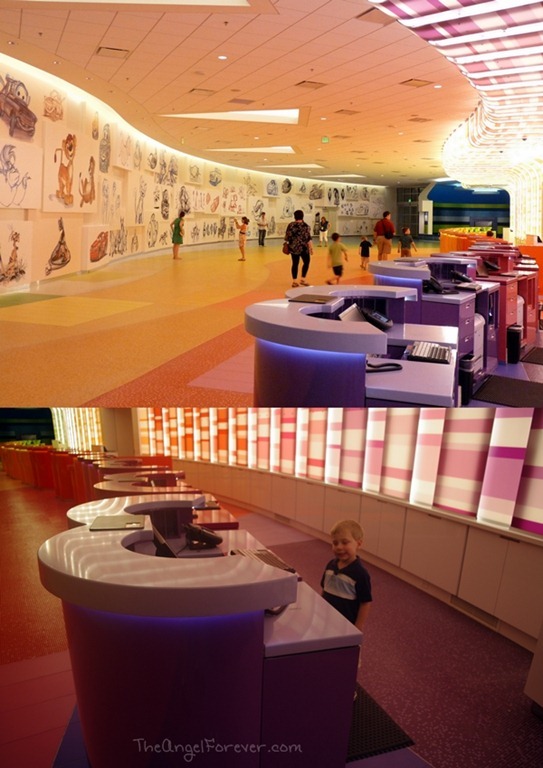 There is so much more to be found and explored within the Art of Animation Resort, but you will have to capture those memories with your friends and family. I know that we hope to stay here one day soon. 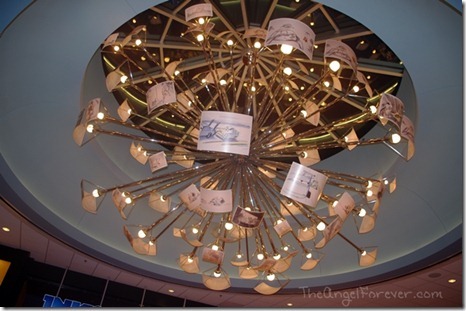 So if you were to go to the Art of Animation right now, what would be your first must see item? That looks awesome! What level of resort will it be classified? I am just wondering because it would be nice to know how far it is from the parks. I know the top tier are on the monorail and I know this one isn’t, so by bus? 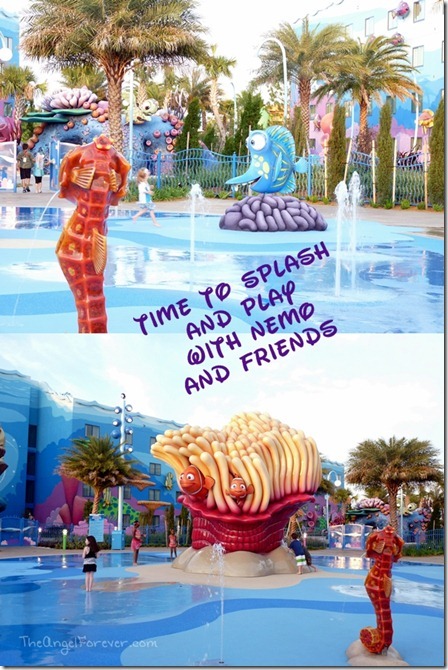 E would love the Nemo theme!